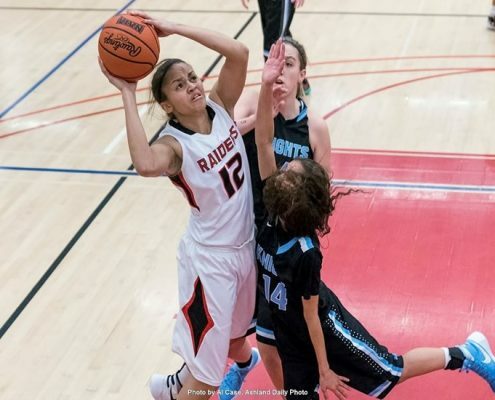 More than 400 students complete in thirteen sports at SOU. These student-athletes excel in the classroom as well as on the field or court. 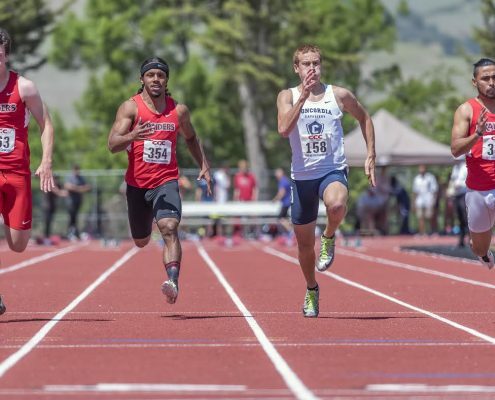 SOU’s character-driven athletics program strives for balance in sports, classroom and the community, admitting high-achieving students with strong values, and intentionally teaching character within the context of sports. SOU belongs to the National Association of Intercollegiate Athletics (NAIA), which focuses on and tracks five core values for all of its schools: integrity, respect, responsibility, sportsmanship, and servant leadership, which involves working for the greater good. SOU recruits students who embody these core values. 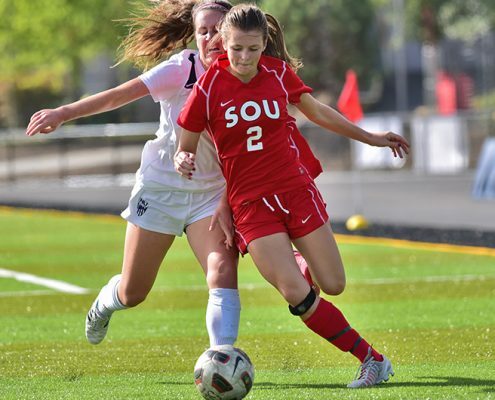 SOU athletics is currently on a run of successes on the playing fields and in the classrooms that goes unmatched at SOU. For the third consecutive year, SOU finished in the top 15 in the NAIA Directors’ Cup standings and was the top finisher among public universities. In 2017-18, all of SOU’s NAIA-affiliated programs advanced to their respective national championships. SOU was also one of three Cascade Collegiate Conference institutions to attain CCC Presidents’ Cup Academic Excellence status. SOU’s student-athletes under the CCC umbrella, including members of its basketball, cross country, soccer, softball, track and field, volleyball and men’s wrestling teams, posted a combined 3.19 GPA. A new endowed fund specifically for football will be used to support a range of activities for the program, such as professional development for the coaches, extra funds for travel, recruiting, stipend supplement for graduate assistants, facility enhancement, and equipment. It can also be used at the discretion of the Head Coach and Athletic Director to provide an array of support for players, including academic tutors, study table resources, inspirational educational speakers, and special programming. Winning games is a side effect of the values, academic work and service learning.